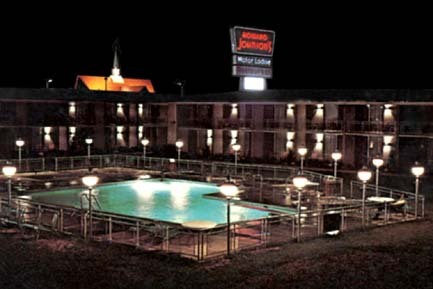 Knoxville-West opened in 1966 and was a classic Motor Lodge and Restaurant complex. It was sited immediately along Interstates 75 & 40 at the busy West Hills exit. 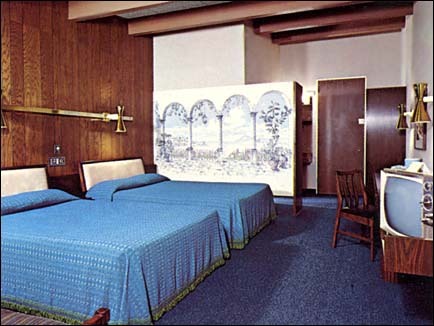 During its peak of operation, the Lodge offered guests the choice of 191 rooms! Closed during 1992, the highly prized site across from Knoxville's West Town Mall was razed. 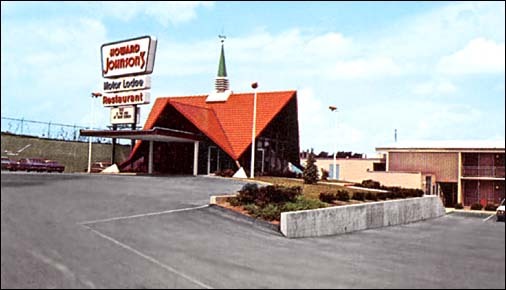 The only remaining evidence of the Knoxville-West Howard Johnson's that Phil could find was the sign standard seen to the left that advertised Cozymel's and Romano's Macaroni Grill. 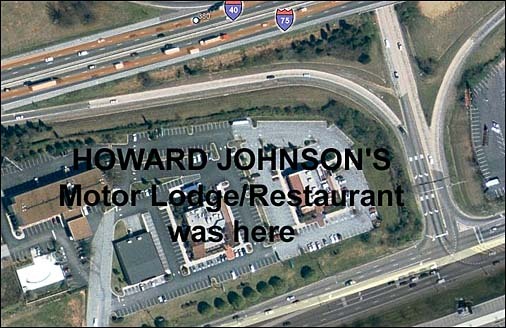 Note that Romano's Macaroni Grill took the former HoJo's address, but it is only a coincidence that its sign is in the same shape as the current Cendant Howard Johnson logo, for Cendant didn't introduce it until 1996--well after Knoxville-West ceased being a HJ.